What happened? Why weren’t you able to accomplish your goal? The answer may lie in your level of commitment. How committed were you to achieving your goals? Now I’m not judging because I struggle with commitment All. The. Time. So I completely understand Paul when he said ‘the things I want to do I don’t do but the things I don’t want to do I do.’ I know he was talking about something completely different but it fits. Shortly after I started this blog in 2015, I stumbled on a very disturbing statistic. According to the writer less than 50 percent of bloggers will last for the long haul. The statistics were worse than divorce! Why then do so many persons start blogs every day? There’s a belief that you can make some serious money blogging. In fact, lots of bloggers publish their income reports each month showing the hundreds or thousands that they make. Others promise to show you their techniques. While some bloggers never make a dime. Why continue then? It’s about expectation. As I celebrate my three year blogiversary, I’m feeling very philosophical. While I’ve spent close to a thousand dollars and a gazillion hours on this blog, the sum of my earnings has been $50 - and that wasn’t even direct income. I have thought about closing this website down so many times… but it all comes back to faithfulness. 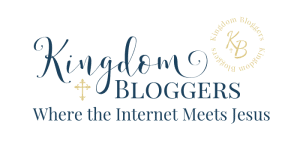 This blog is a way to get the word out about Jesus and His ability to save. If it reaches one person and tells them the Good News of salvation, isn’t that enough? God has faithfully provided the funds for hosting every time the bill is due. He has been faithful, can I be any less? Paul was a man who knew how to finish well. His journey did not start out with the best prospect. Paul (then called Saul), was a man who persecuted the people of God. His fervor and passion was such that it was just a matter of time before he made himself abominable to God and had to be disciplined. Solomon, on the other hand, was a man who started out with great promise. He was one of the richest men in the world and could have anything that his heart desired. Sadly, he allowed pride and his love for exotic women to turn him away from God. What was the difference between these two men? Why was one faithful and the other unfaithful? To understand the difference between the two men we have to look at their lives to find the common ground. As we read about their lives in the Bible, the differences become glaringly obvious. 1. Have an encounter with God: God is willing to reveal Himself to you. All you have to do is show up. That involves being obedient to His call. What God asks you to do won’t always make sense. Sometimes it may seem downright crazy. Why ask a woman who is just learning about Him to start a blog telling others about God? To our human understanding it doesn’t make sense. But God has plans that are all His own. As God, He doesn’t need to explain Himself to us. 2. Study the Bible. Jesus once told His disciples that His sheep know His voice. In a world where everything screams for our attention, the only way we will be able to identify what comes from God, is if we have a deeply intimate relationship with Him. We learn more about God as we study His words and spend time in prayer. 3. Pursue God, not the world. We already know that friendship with the world is enmity with God. Yet, we find it difficult to turn our backs on it. Solomon pursued wealth and pleasure, Paul pursued God. The difference in the two men became evident at the end of their lives. One was able to face death with confidence, while the other feared that his whole life had been “vanity”. 4. Obey the call to holiness. Leviticus 19:1 says “Be qâdôwsh for I am qâdôwsh.” We serve a holy God. One who expects us to be holy too. Holiness means staying away from things that are unlike God. Things like idle words and bad company. It means holding ourselves to a higher standard – one that honors God. 5. Immerse yourself in doing the will of God. The walk of faith is hard. I get it. Yes, we have Jesus’ example and He’s an awesome role model – but we are prone to sin. It is easy to get drawn into doing things that are outside the will of God, especially if we’re not paying attention. It’s therefore important to immerse ourselves in doing the things that God loves. As we do that, it will be easier to walk with Him. 6. Remain humble. I know, that’s the exact opposite of what the world tells us. But God respects the humble. He wants us to recognize that we are just dust and that He is all-powerful, all-mighty, all everything. He also has the ability to exalt us. When we exalt ourselves, we will eventually be cut down. But when God exalts us, no man can take that position from us. Download these lessons from Solomon and Paul as a free printable. It is the things that symbolize a life lived for Christ that enable us to finish well. Not our social media following or the amount of money that we have in the bank. As we focus on Christ, the author and finisher of our faith, He allows us to finish well. How do you remain faithful? What are your tips for finishing well?